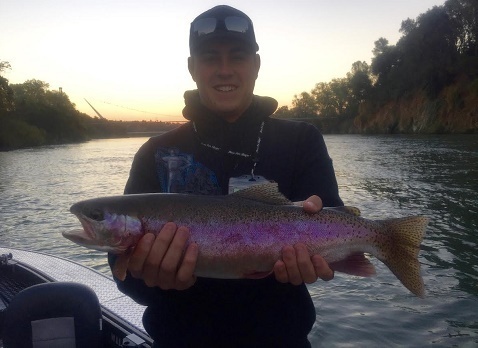 Chris Burke of Cottonwood, Ca. 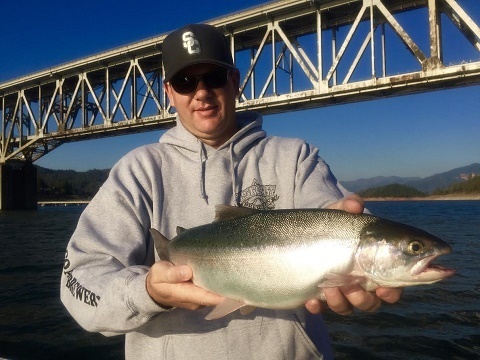 holds a 5lb Shasta lake rainbow he caught while fishing with Jeff Goodwin Guide Service. 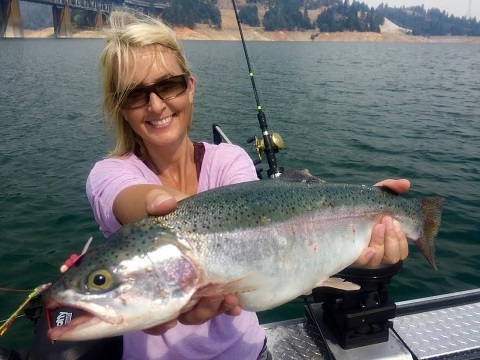 Whiskeytown Reservoir: Redding area fishing is red hot! !